These performed true to Hourglass style – they’re soft and luminous without any harsh frost. In terms of a highlighter or hybrid kind of product these give the prettiest soft glow to the complexion to mimic the way light hits the face naturally. Pigment is medium but can be sheered out or layered for more impact. On me they are easy to apply and never look frosty. If you’re like me you most likely already have all the colors individually – I usually still get the palettes anyways because they are super convenient for travel or to carry around for touch ups. I rarely calculate the prize per oz of palettes vs individual items but for those curious, individually the Powder is $46 for .35 oz ($182.35/oz), the Blush is $38 for .15 oz ($253.33/oz) and Bronzer is $50 for .39 oz ($128.21), Palette is $62 for .34 oz ($182.35/oz). In this palette for some reason when I saw it in store, Diffused Heat looked pink rather than poppy in color. I compared them when I got home and the difference is slight but still noticeable. The individual Diffused Heat is clearly more red while the palette version is a bit more pink. On the face however the difference is slight. Comparisons below. I threw in Luminous Flush as well for comparison. Since these are hand swirled no two powders will look the same. Palette swatched next to the individual colors. You can see the Diffused Heat in the palette is a bit more pink than the Diffused Heat in the individual version. Let me know if you see the same in yours (I checked about 4-5 compacts in store and they all looked consistently the same). On the right, I’m wearing all three shades from the Ambient Diffused Light Palette on the cheeks. Since so many of you ask what brushes I recommend, really any blush brush will do. My favorites coming soon in an updated post. For now here are some of my smaller-sized favorites. Left to right is the Wayne Goss #02 (mine is from The Collection Set, Charlotte Tilbury Powder and Sculpt, Wayne Goss Air Brush, Chanel Blush Brush, Wayne Goss #14 (from The Face Set) and Hourglass Brush #2. Picking one will depend on what kind of pigment/coverage you like. 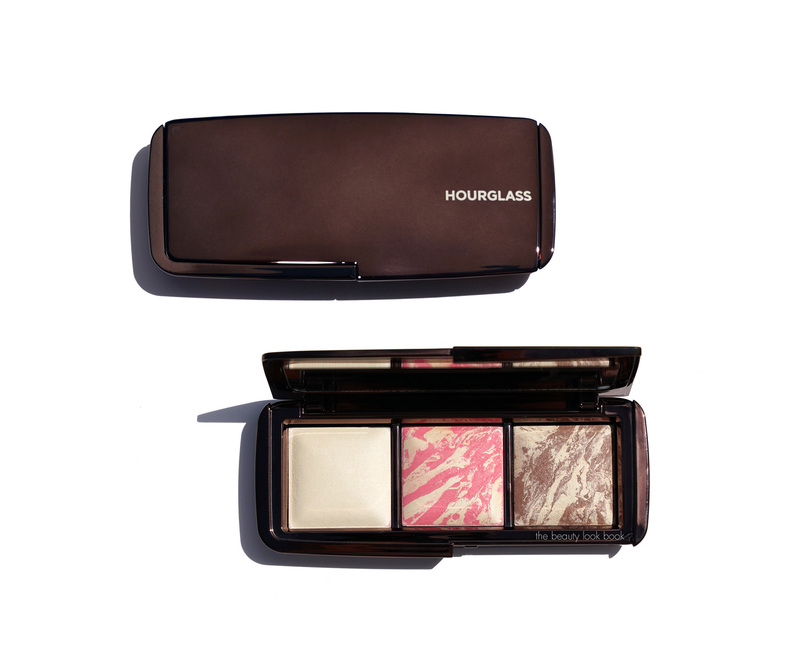 The Hourglass brush is a good all around blush and powder brush. Loose fluffy ones like the Wayne Goss #14 will give a more sheer wash.
Bottom line pretty and very wearable. Perfect for travel or if you’re just getting into Hourglass. If you’re like me and have been collecting for years this is a pretty redundant option. If you already own these, unless you travel a lot or want something for on the go that’s easy to touch up, you might want to explore other options. For me it was worth purchasing even though I already have the colors. You can find the Ambient Diffused Heat Palette exclusively at Nordstrom for the Anniversary Sale. Don’t forget to check out the Gift With Purchase page – there’s a gift with $75+ beauty purchase going on from multiple brands, you do need to enter a code (site has different options). Is this one on your wishlist? Press samples featured include the Dior skincare and Wayne Goss brushes. All others purchased by me.